Are you planning a grand appearance for your brand or your company and look for an impressive and customisable promotional merchandise for your campaign? Use the chance to raise awareness for your brand with an effective merchandise concept and generate higher profits! Select appealing products of high quality that can be printed with your logo or slogan. allbranded has the desired means and possibilities to efficiently support your advertising presence and make you achieve your goals. 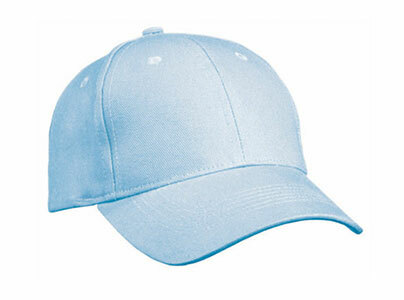 As a thank you to employees and to win new customers, the high quality hats from allbranded are the ideal merchandising gifts. Printed with your logo, these products provide a high degree of attention for young and old customers alike. A popular quote of automobile pioneer Henry Ford states that you either advertise, or you die. The statement was as true back then as much as it is today. But which form of advertising works and how do I best reach my target groups? Small products are among the most used promotional products in Britain. Usually, they are useful commodities that can be used regularly or daily, have a low purchase price and attract large attention from the target group. Among the most popular smaller products are sunglasses, pens, lighters, key chains, umbrellas, USB sticks and sweets. At tradeshows and fairs, conferences, city festivals, concerts, the FIFA World Cup and the Olympic Games: large events are ideal to hand small products to your target group. The broad reach increases the awareness level for the company, the brand or the advertised product. Telecommunication service providers, insurance providers, energy companies: various firms and industries use tradeshow giveaways and promotional items to attract new customers and increase the loyalty of the current client base. Smaller products are an essential part of affordable advertising, and therefore even used by charity organisations and sports clubs. Department managers get their teams in the mood for an upcoming event. It’s the same principle: Original and creative small products are a positive surprise for the recipient. And if the timeless appeal of a porcelain cup in your company colours even has the firm’s logo and a thank-you lettering, it will light up the face of any employee with a bright smile. Of course, customers also appreciate smaller products. The range reaches from affordable products for walk-in customers to exclusive promotional products for premium customers. A pocket calendar with your logo, a fine drink in CI design and a brand message will delight the recipient and increase loyalty. Demonstrate that you care about our environment and gather sympathy points with your target group and their families, friends and colleagues by giving them ecological cotton bags, printed with your brand. Business partners can be impressed with interesting promotional items all year round. Caps and hats, towels, bag belts, cooling pillows, and beach games for the holiday period in summer. In winter, you choose between hand warmers, which are ideally suited for free time activities in nature, and ice scrapers that become helpers in need. Your marketing message is always there, constantly being recognised by your target group and the people around them. The frequent use of promotional items in such daily situations supports your image and increases the level of awareness for your brand. Promotional products can be individualised to achieve a maximum recognition value for your customers, visitors and employees. The use of logo and branding guarantees that the individual gift creates a positive, long-lasting memory of the company. With a distinctive brand and advertising message, your promotional products enter the professional and private lives of the recipient and prolong the advertising effect. The promotional gift is often passed on to friends, acquaintances and colleagues. This additionally increases the number of contacts and opens up new customers, who then might recommend your company themselves to even more people. This effect decreases the marketing expense. The allbranded online shop features a vast range of original and creative small products for low prices. 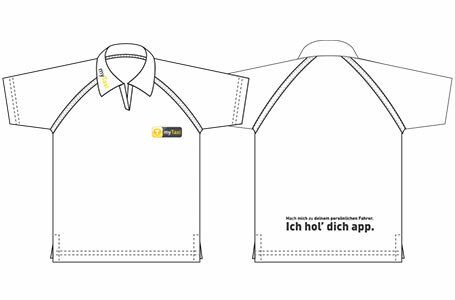 Of course, we can also personalise the promotional gift and give it a unique touch. Order online from the comfort of your home or office or talk to one of the experts of our team.